Your trademark is the most important asset your business will ever own, so it's important to learn how to create a trademark that distinguishes you from the competition and helps you stand out in a crowd. A poor trademark can entangle you in legal disputes and stunt your marketing efforts. A trademark is a design, word, phrase or symbol that helps distinguish your product or services from others in the marketplace. It's one of three legal terms that describe intellectual property — the other two being patent and copyright. Selecting a good trademark is as simple as following these simple guidelines. There is no point investing in a trademark you can't register. Registering it protects you from competitors, ensures your ownership rights in the mark and makes it easier to enforce your rights against copycats. Certain types of words are inherently difficult to register and should be avoided, as discussed below. Words that describe the nature or quality of the goods or services sold with the mark are not permitted to be registered. Hence, the mark “Cold Beer” for use with malt beverages cannot be registered because it describes the actual product being sold. If registered, it would prevent anyone from using the words "cold" and "beer" to describe their malt beverage. Surnames usually cannot be registered as trademarks. The mark “Wilson Power Boats," for instance, is a poor choice for a trademark because "Wilson" is a surname and the rest of the mark is descriptive. A trademark confusingly similar to an already registered trademark cannot be registered. For example, the mark “Sun-Screen” cannot be registered if the trademark “Sun Screen” has already been registered for a similar type of product. You may want to search the US Trademarks Database or the ​Canadian Trademarks Database. Internationally, you can search the Australian, United Kingdom, New Zealand,​ European Union (EU) and Japanese trademark databases as well. The goal is to select a trademark unique and distinct, so avoid generic words. Examples of generic terms include “green, superior, Canadian, American, deluxe, gold, premium,” and many others. If you incorporate generic words into your trademark, you'll blend into the crowd — not stand out in front of it. IBM, CTV, and AT&T are distinctive trademarks because their respective owners poured tens of millions of dollars into making the marks famous. Even a poor trademark can be made famous if you throw enough money at it. But acronyms are intrinsically difficult to remember, while words — especially colorful ones — are easily remembered. Hence “ELS Software Solutions” is not as memorable as “Volcanic Silicon.” It's also true that there are a limited number of unused acronyms available, so there is an excellent chance your three-letter acronym will be confused with someone else’s. Likewise, avoid using numbers in a trademark. They tend to be less memorable. Give consumers a trademark name that reflects an experience or an action — especially one that relates to your product or service. Common examples are Sprint or Verizon, which means " to reach higher" in Latin. Invented words are words that do not exist in any language, apart from your trademark. Examples include Spandex, Exxon, Kodak, Viagra and several other famous trademarks. The best thing to down you can't think of anything creative is to come up with something completely unrelated to your product or service. Unlike invented words, you may choose something already in the dictionary. Not only will this set you apart from the competition, it will also be very unique — and therefore, something that's easily remembered. Apple is an arbitrary or random name that has nothing to do with computers, phones or tablets. Other examples include Camel cigarettes or Exxon. Animal and plant names tend to be memorable and, if used appropriately, can convey a good image while still being distinct. Apple Computers, Tiger Direct ​, and Ford Mustang are good examples. 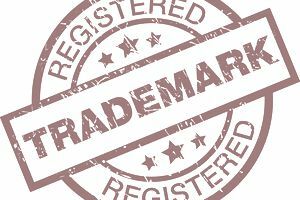 It is often necessary to add descriptive words to the trademark in order to convey what is being sold or marketed in association with the mark. If generic words must be included, then ensure the first word of the mark is as unique as possible. Elias Borges is a patent and trademark lawyer and a registered patent and trademark agent with the law firm of Borges & Rolle LLP in Toronto, Canada.